Mo. – Fr. : 09:30 a.m. – 7:00 p.m. Sa. : 09:30 a.m. – 4:00 p.m. Sa. : 09:30 a.m. – 6:00 p.m. Your favorite store is not listed? Order online and take advantage of our store pickup and have your product delivered to your desired store free of charge. Order online - pick up in store? Our graph shows you the expected availability of your selected product. Please take into account that the availabilities of our products can change during the day due to customer visits. We do therefore not guarantee availability. 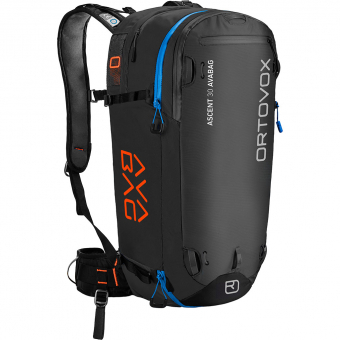 The Ascent 30 Avabagby Ortovox is the ideal airbag backpack for longer ski tours. 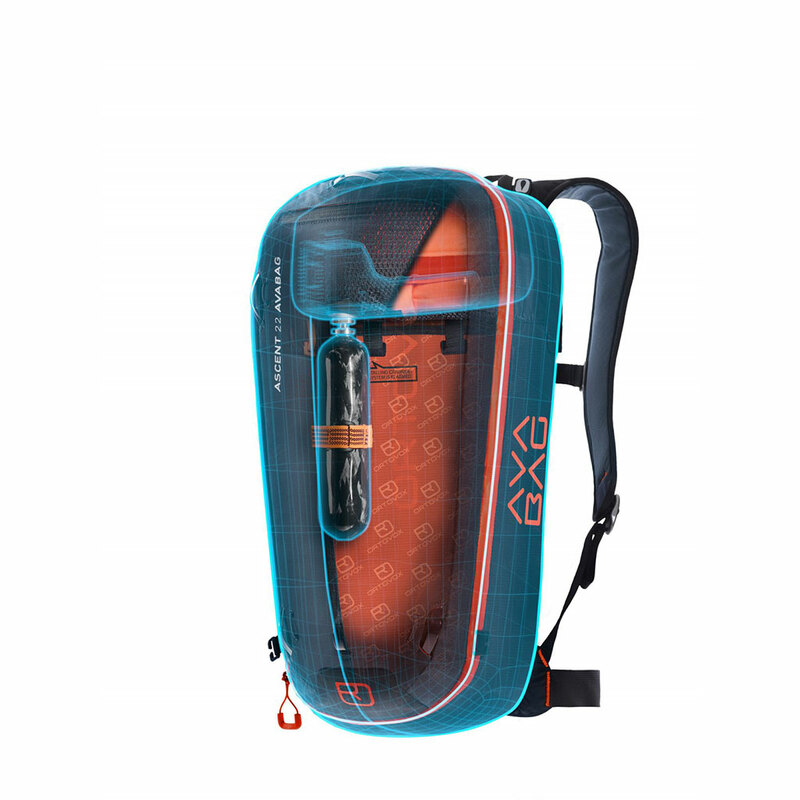 Designed around the AVABAG system there is 30 liters of usable volume to carry everything you need – safety equipment, a hydration system, a change of clothes and a snack, everything has its place! This ski touring backpack is equipped with the Avabag airbag system developed by Ortovox: the system weighs only 690 grams, is extremely compact, removable and can easily be activated again and again without the cartridge attached. 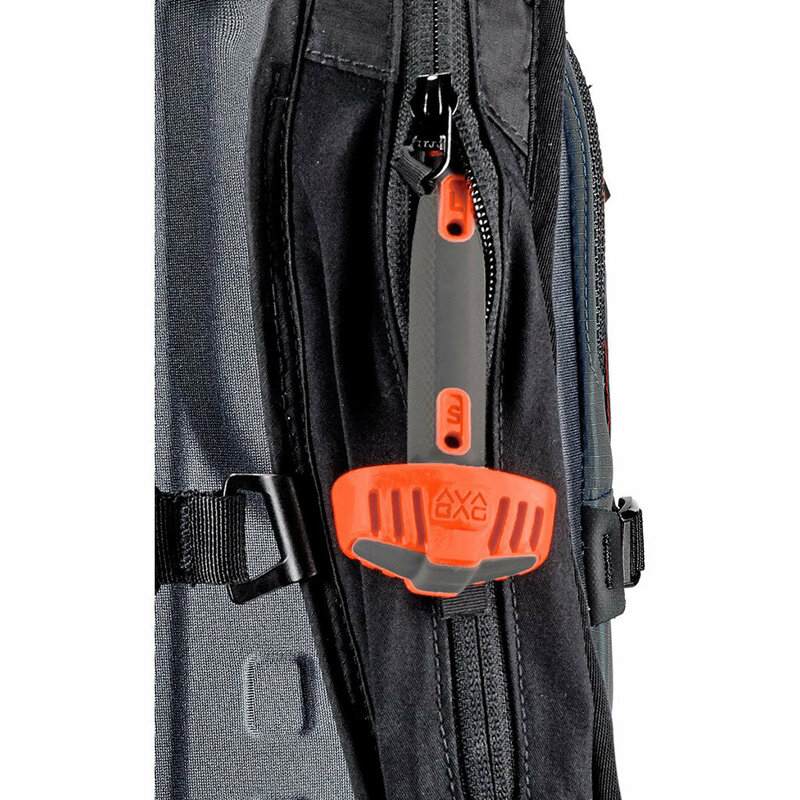 This allows for activation training to prepare for quick and correct action in an emergency. 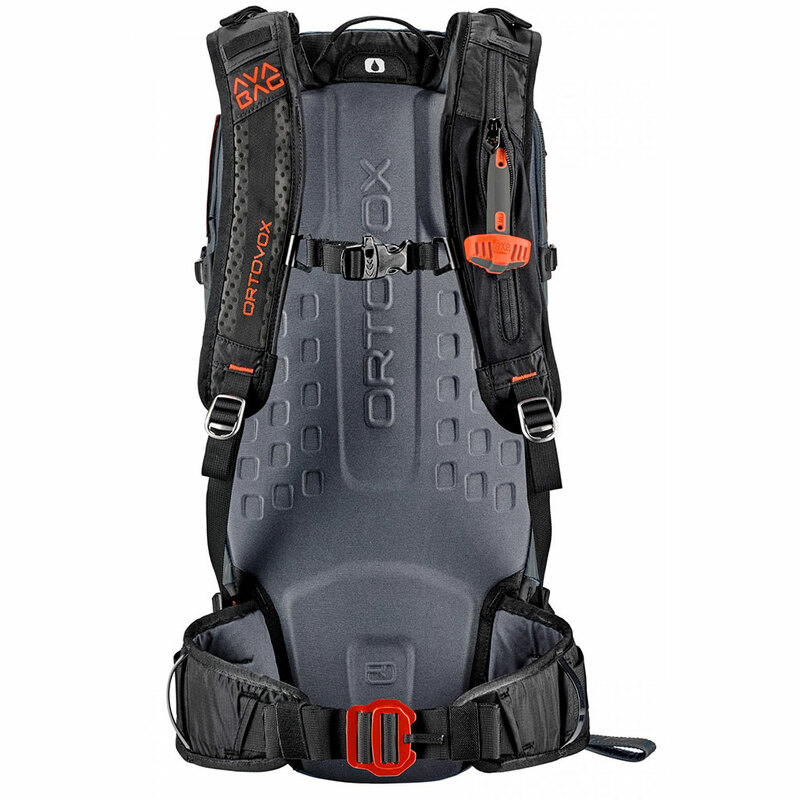 A ski touring backpack not only needs to be functional – it also has to be comfortable, especially on long tours. With the Ascent 30, high wear comfort is ensured by the foam moulded 3D back system, which is both lightweight and strong. 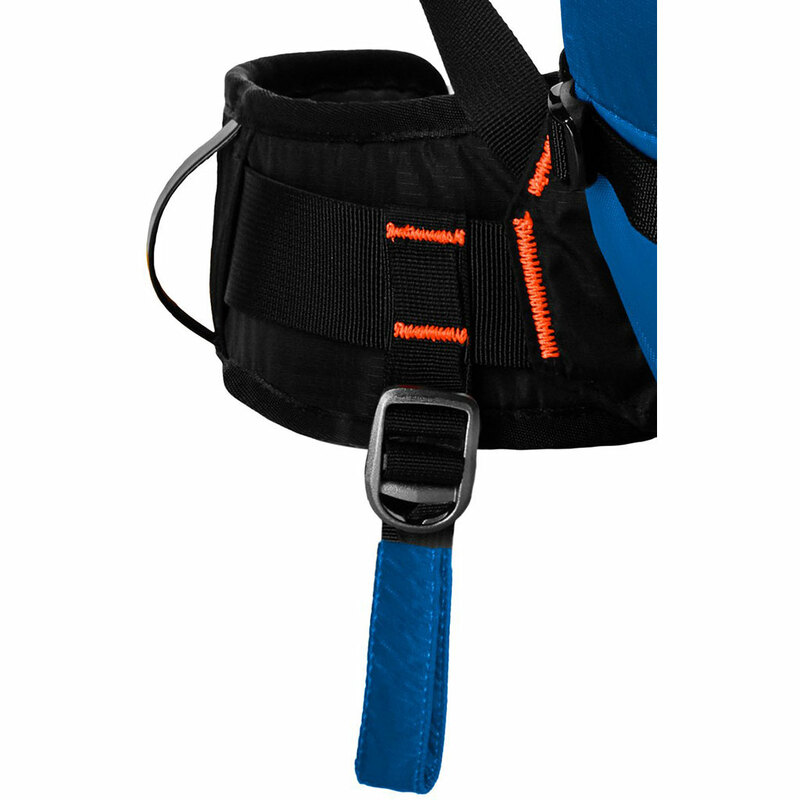 The avalanche backpack also boasts various features: ice axe and hiking pole fastening, circumferential zipper for quick access to equipment, diagonal ski attachment for greater wear comfort and much more! 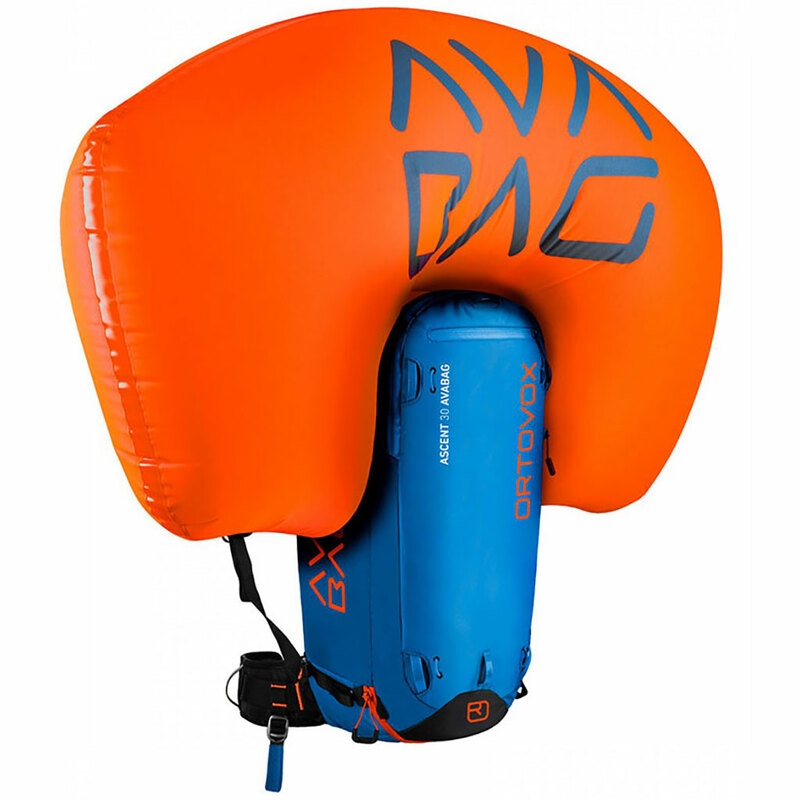 • The Ortovox Airbag is operated with Ortovox Cartridge (item number 79704095); No other cartridges are suitable! • Express orders for cartridges are not possible due to airfreight regulations! Please send me an e-mail once there is an answer. der Artikel ist leider für den Rest der Saison ausverkauft.